As you probably know, the big news in the basketball world today is the announcement of Stephen Curry as the 2014-15 NBA Most Valuable Player. Coming as no surprise as most, Curry was honored with the MVP after being the best player on the best team throughout this season. As Under Armour’s MVP on the NBA court, as well, you know the brand would pull out something special for Curry’s prestigious award. 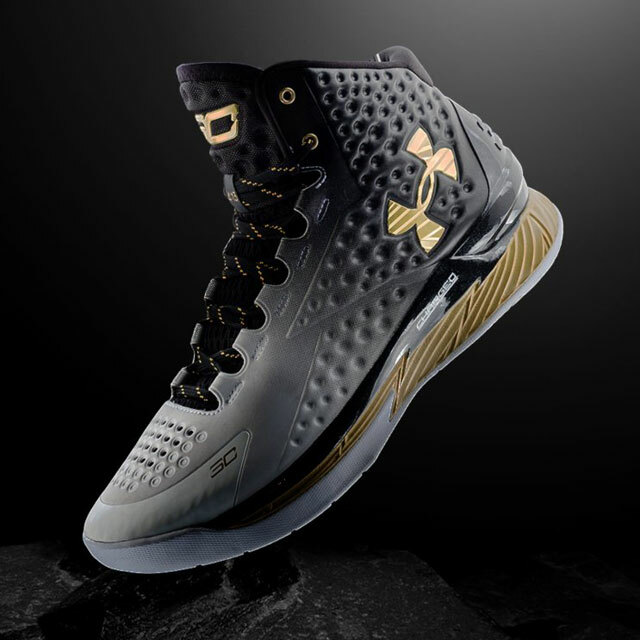 And here it indeed is, the Curry One in a super clean and stealthy grey-to-black faded upper with iridescent gold accents. 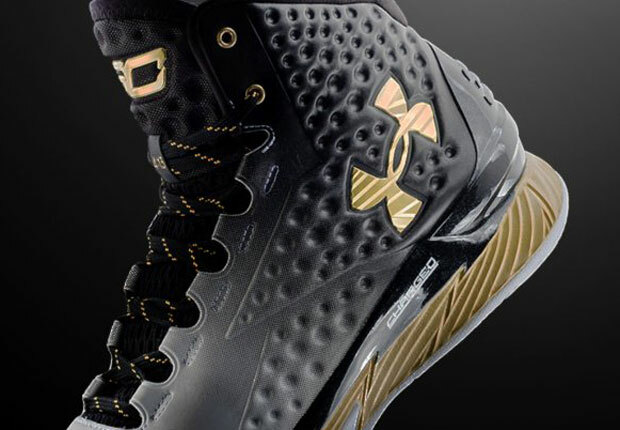 Just unveiled by Under Armour with a short celebratory video, the Curry One “MVP” can be expected to be spotted on Curry’s feet soon, and will arrive at retail on June 20th. Stay tuned to Sneaker News for further images and availability information.